That statement makes me cringe! Thanks to the power of compound interest, saving even a few dollars here and there can lead to big savings. Here’s how it works and how you can get on track to better savings, even just a couple of dollars at a time. When you look at your bank account and your bills, it is easy to dismiss the power of a couple of dollars. Beyond a couple of candy bars or something from the fast food dollar menu, there isn’t much you can buy with just a few dollars these days, but that doesn’t mean that saving a few dollars is not worth the time of the effort. Let’s say you want to start saving $5 per week. That’s only $20 per month, less than a round of beers at a local bar. But over a year, that adds up to $260. That’s enough for a round-trip plane ticket or a minor car repair. Let it go on for five years and you’ll have $1,300, enough for a round-trip plane ticket to Europe or to treat yourself to a very nice long-weekend trip. The power of savings gets more and more impactful over time, but when you take into account compound interest, it gets even more lucrative! So far, we have just looked at saving money as if you had put the cash under your mattress or stashed it in an account with no interest. If you invest the funds, they will grow even faster. Let’s say you save the same $5 per week, but at the end of each year you put the $260 into a low fee S&P 500 index fund. If you invest at the end of each year and earn 9% per year, you would have over $1,500 at the end of five years. Of course, investments come with risk and it could also go down in value, but over a long time horizon, the market always goes up. Over any 25 year period starting in 1970, the worst return of the S&P 500 was 9.28% compound annual growth rate, so a 9% estimate isn’t too far off. The best 25-year average compound annual growth rate over the same period is 17.25%. If you average that return, you’ll end up with $1,800 over five years. But as you can see, I am quoting a 25 year average compound annual growth rate, so this is over a longer period of time. If you save $5 per week for 25 years and have a 12.98% annual return, which is the median 25 year compound annual growth rate average since 1970, you will end up with over $40,000! $40,000 is not enough to retire on, but it is enough to make a difference in most people’s lives, and that is only $5 per week! If you were to save $10, $20, or more each week, you would end up with $80,000, $160,000, or more. It is all a factor of how much you save and how your investments perform. But even if you can’t afford to put away $20 each week, you can save as little as a dollar or two, and that’s better than no savings at all. It helps you get into good saving habits so as your finances improve over time, saving more is no big stress. If you’re on board with starting small, one of the hardest parts of saving is remembering to actually save the money. Physically taking cash out of your wallet or logging into your bank’s website to do a transfer works, but there are much easier options today. Here are a few of my favorite apps for automated savings and investments. Digit – Digit is a free savings app that you control via text message. After connecting to your bank account, Digit will automatically make small transfers from your checking to your Digit Savings. Digit checks your account balance before transferring and guarantees it will not overdraft your account. With a quick text message, the cash is back in your checking the next business day. Dobot – Dobot is a mobile app for iOS and Android phones. After connecting your account, Dobot makes weekly transfers from your checking into a Dobot savings account. Within Dobot, you can attribute your savings to specific goals. Right now I’m saving for a trip to Iceland and buying my own small airplane. It’s cool to see my goals get closer every week! Acorns – Acorns is a savings and investment app for iOS and Android. After connecting your accounts, Acorns will “round up” each transaction and invest the savings for you. For example, if you purchase something for $22.50, Acorns will round the transaction up to $23, and save the 50 cents for you. Over time, those round ups add up to a lot of money, which is automatically managed for you in low fee investments. Savings isn’t a boring topic, and almost every American can come up with at least a few dollars each week. Sticking to your budget and working on a side hustle makes it even easier to save more, so keep those in mind as you move forward with your savings and investments to reach your goals this year and for many years to come. One of the fundamental aspects that will help you in your quest to tame the silver market and hopefully find a path to profits, is gaining an understanding on how silver behaves in the market compared to other commodities like gold and oil. Keeping a track on the silver market will be easy when you visit www.MoneyMorning.com/tag/silver-prices, and in terms of knowing how to trade silver, here are some tips and insights that might help you to learn what to watch out for. A good starting point would be to clear up what some investors might assume about trading gold and silver, which is that there is not much difference between trading either of these metals. It is not that trading silver is completely different to trading gold, but dig below the surface, and you will soon see that there are subtle differences as well as similarities. You may be confused by these similarities and differences at first glance, but if you remember the two key aspects that set them apart and how these influence the way silver behaves in relation to gold, then you are on the right path to trading the silver market with a higher degree of confidence. The first key aspect that is immediately noticeable when you compare price movements of silver and gold, is just how volatile silver is in comparison to gold. The basic reason for the greater level of volatility in silver markets when compared to trading gold, is liquidity. What you get when liquidity levels are lower is a situation where smaller amounts of money traded can have a sharper influence on prices and cause the price to move with greater volatility. These smaller amounts of money can still be in the billions, but even so, this still often pales into relative insignificance in comparison to gold markets, where trading volumes are often much higher and deeper. The reason why this is significant and needs to be understood when trading silver markets, is that you need to adjust stop losses accordingly, otherwise a spike in volatility could bounce you out of a trade and trigger a sale which could cost you money unnecessarily. The other important dynamic that you will need to be aware of if you are going to get a good handle on trading silver markets, is that the gold and silver ratio is arguably one of the most important ratios to pay attention to when looking at commodities overall. The simple reason why this data is such a useful tool is down to the fact that the ratio between gold and silver prices tends to move in identifiable cycles. You will often find that when the ratio hits a cyclical low point, silver often becomes relatively inexpensive when compared to gold. Conversely, at a cyclical high point, you can often find that silver has a tendency to underperform gold in this scenario. The significance of this pattern is clear. Watch the ratios and you get some decent clues about the momentum for the silver price, allowing you to place a trade accordingly. If you are a regular reader of newspapers and financial publications in general, you can’t have failed to notice that even when things seems to be ticking along nicely in the economy, there often seems to be a fair amount of doom and gloom in the headlines you are digesting. Although it would not be unreasonable to expect the media to inject some positivity into their column inches , psychology plays its part in what sells newspapers and what doesn’t. This means that a headline telling tales of a virtual financial meltdown will invariably prompt higher newspaper sales than a headline telling is that everything is good in the world of finance and in general. The point about this, is that if you learn to read beyond the headlines and digest the information that really matters, there is every chance that you could profit from an element of fear and panic that might hit some investors when they read certain stories, especially if it involves a stock or sector that they are invested in. Fear, panic, doom and gloom, all spell trouble for certain markets, but the positive slant to consider is that more often than not, these headlines might just create an opportunity for a profitable trade. If you find that silver futures have taken a dive in response to negative headlines, but the fundamentals suggest that this is an overreaction and that the price is looking oversold, this may well be the time to step in. If you have the right knowledge and outlook about trading a commodity such as silver, there is every chance that you can successfully adopt the role of ringmaster and tame the silver market. Alisha Dyer works in the world of investment banks (she’s a good person, honestly!). She uses her experience to teach those just starting out what to do, and what not to do. The biggest change in my Lending Club account at the end of 2014 was the NAR (which is an adjusted rate of return) had dropped from a little over 13% in 2013 down to 9.61% at the end of 2014. Despite the drop, I felt like that was a pretty good rate of return, and reason enough to continue to invest in peer-to-peer lending. Two other factors that I looked at were default loans and interest received. In 2014, there were 4 loans that had gone into default. There had been only one in 2013, but with an increase in investing on my part, the rise was somewhat expected. The total principle written off in 2014 was $41.87. Total interest minus fees for 2014 was $115.69. Take out the written off principle and you still get income on 2014 of $73.82. Again, not a bad little bit of semi-passive income. So, it’s been a year and a half since I last shared one of these updates. First, let me do a bit of a quick overview of where the account sits now, and then I’ll share some changes that have had some effect. Is Peer-to-Peer Investing Worth Your Time? I like talking about the income (and resulting rate) first. Why? Because that’s the meaty money part of it. 🙂 And I like money. At the end of 2014, my NAR was 9.61%. Here we are in August of 2016, and my NAR is currently showing at 9.89%. It’s gone up! I love when that happens! There’s a couple of factors that likely have helped with that. The first is that there haven’t been any defaults since 2014. Right now, there are 3 loans that are threatening. 1 that’s in that nasty 31-120 days past due category. Typically, if they get that far, they’re as good as defaulted. We’ll see, but I fully expect that loan to go into default in the coming months. The other 2 are split between the Grace Period and 16-30 day categories. More often than not, those loans tend to come back to the current status. Having them default could eat into the income for 2016, but that’s one of the risks we take in investing for higher returns. 2015 was a bit of an odd year. 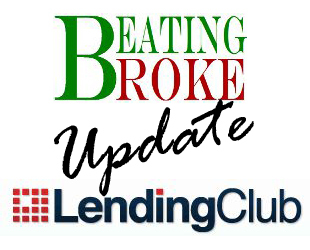 I didn’t pay nearly as much attention to the Lending Club account as I should have, and so, often when I would log in, I would have quite a bit of my portfolio sitting around doing nothing in the cash account. At one point, I had about 40% of the entire account sitting in cash because I hadn’t done anything with it in a while. That doesn’t equate to good income. For 2015, the interest minus fees only totaled up to $103.07. Down from 2014, but purely reflective of my inactivity in reinvesting the cash. The upside to 2015 was the lack of defaults. Because there weren’t any defaults, the income minus written off loans was still 103.07. That’s better than 2014, so even though my inactivity caused a reduction in gross income, it also may have sheltered me from defaults and thus preserved more of the income. I’ve been a bit more active in 2016, and my income reflects it so far. As of the end of July, interest received minus fees was at $72.04. If that trend continues, 2016 will be slightly better than 2014. One of my goals when beginning this account was to achieve $10 per month in income. At this point, I’ve done that. I just have to remain active in reinvesting the funds in order to maintain that level. Next goal, $20 per month! One of the things that I wrote about in my “How I Invest” article was how I wasn’t eligible to directly invest or borrow because of the state that I lived in. Probably the most significant change since the end of 2014 is that my state is now eligible for both. I haven’t toyed with the borrowing side, but I have touched the direct investment side. My experience there is mixed. One of the things I like about it is that you aren’t paying any fees or premiums on the investments that you’re buying. That means you make more money over the life of the loan. That’s good. The downside, to me, is the delay in investment. If you’re unfamiliar with how the direct side works, you basically go in and choose which loans to invest in. You’ve got some ability to filter, but not all the same ones that you have on the FolioFN site. Once you select some loans, you press the invest button. Here’s where the delay comes in. The loan only gets investing if it gets fully funded. So, if you invest in a loan early in the process, you could be waiting a while before there’s enough investor commitment to fully fund the loan. Once the loan is fully funded, it goes through a vesting process. The folks at Lending Club look it over, make sure everything is what it is supposed to be, and then the loan finally gets funded. And then you wait until the next pay date. All told, you’re money could be sitting in a committed status for a week or more waiting on all of those steps. Or, you could pay a small premium (you can filter based on the premium) on the FolioFN trading site and have your investment in your portfolio the next day. After playing with the direct side, I can see myself using it occasionally, but really keep going back to the FolioFN trading site to do my investing. My thought is that the sooner my money is working for me, the sooner I’m making money with it. I don’t know that this really qualifies as a change, but it’s something that’s been a topic of conversation a lot over the last year. And that’s the idea that there are institutions who are investing in peer-to-peer investments. One of the biggest issues that many seem to have with this is that it’s meant to be peer-to-peer (it’s right in the name!) not institution-to-individual. That’s how the traditional loan process works, not peer-to-peer! Ok. I get that, but I think there’s also an argument that as the peer-to-peer movement grows, there’s going to be an increasing scale of demand for the loans. And if the individual investing side doesn’t grow as quickly, there will be a lot of loans that won’t get funded. It’ll look bad for business, plus it will drive away potential borrowers. I think as investors, we need to recognize that if borrowers are being driven away because of a low funding rate, it means less opportunity to invest. What we need to hope for at this point, is that the institutional investors are held at bay, and used for filling those funding gaps rather than let run amok and run the individual investors off. Much like many of my other updates, which you can read on my Lending Club page which has links to those and other related articles, I just don’t see any good reason to stop or even scale back my investment in peer-to-peer investing. The return remains excellent, and defaults remain low. As I’ve mentioned in other updates, I believe some of that is just plain luck, and some of it is due to scale. I’m only working with a little over $1000 in the account, so it’s pretty easy to be a bit picky when selecting loans to invest in. If I were working with a lot more money in my account, I couldn’t be as picky, and would likely see my rate drop some and my defaults rise. The whole idea of this experiment (it’s really gone beyond an experiment now) was to let the account organically grow. Invest a bit of seed and reinvest the principle payments and interest so that it’s all working to make more money. In short, I’m letting the miracle of compounding interest work for me. And so far, it’s working quite well. What are your experiences with Peer-to-Peer investing? Is it working for you? Do you have questions before you dip your toes in? Let me know in the comments!